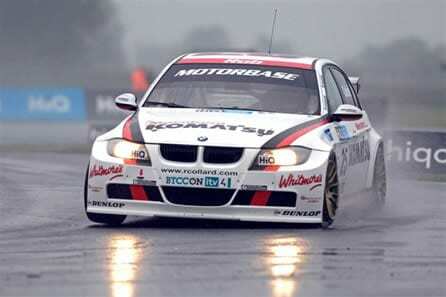 The Motorbase Performance team was created for the 2004 season, but its origins go much further back. It is over 20 years since David Bartrum first started racing and, after extensive success in Production Saloons, TVR Tuscans and Ford Saloons, he turned his attention to team management and then to the creation of Motorbase Performance. 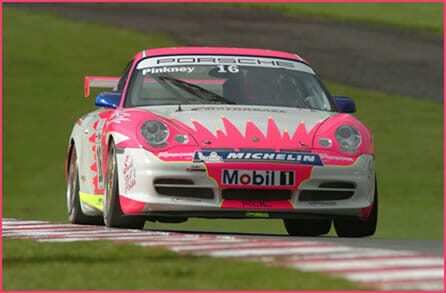 During 2004, Motorbase Performance entered cars in the prestigious Porsche Carrera Cup GB, one of the key support races to the British Touring Car Championship. Brothers Andy and Gary Britnell contested a full season with the team. Mid-season, the team then expanded to run three cars with the addition of Irish charger Damien Faulkner. 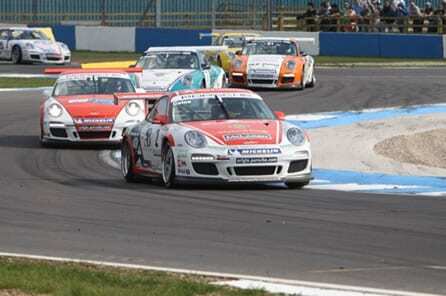 Podium finishes and race wins followed as the team finished runners-up in the coveted Carrera Cup teams’ Championship. 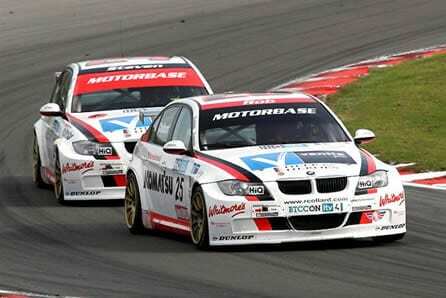 2005 saw Motorbase Performance enter the British GT Championship in the highly competitive GT3 class, selected rounds of the Porsche Carrera Cup GB and the Seat Cupra Championship. Drivers taking a seat in Motorbase Performance run cars during this season included well recognised faces such as Tim Harvey, Dave Pinkney, Phil Quaife, Andy Britnell, Steven Kane, Chris Stockton and Damien Faulkner. Again, race wins and podium finishes were obtained with ease. 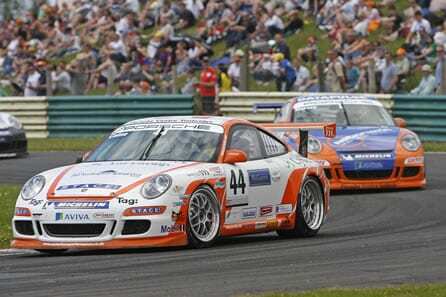 The 2006 season was another major step forward for Motorbase with dual campaigns in the Porsche Carrera Cup GB, using the stunning new 997-type GT3 Cup Car, and the prestigious British Touring Car Championship with the 2005 Championship winning Honda Integra. 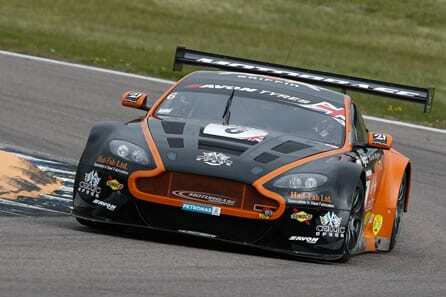 The team also ran a successful programme in the British GT Championship. 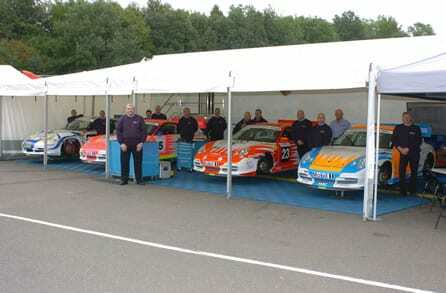 The driver line up at this stage included Tim Harvey, Michael Caine, Phil Quaife, Dave Pinkney, Andy Britnell, Gary Britnell, Rod Barrett, Jan Persson and Gary Eastwood. 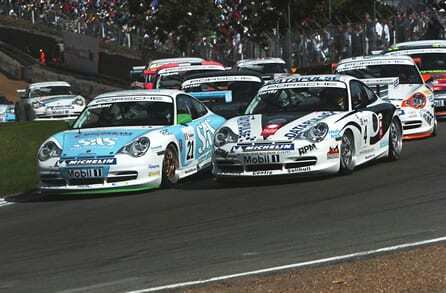 Never content to sit on its laurels, Motorbase Performance continued in both the Porsche Carrera Cup GB and the Dunlop MSA British Touring Car Championship in 2007, running two SEAT Toledos, marking the team’s most serious BTCC challenge to date. While the cars, in the hands of Matt Allison and Gareth Howell, were quick, they had an uncanny knack of getting involved in incidents and a great deal of time and resource was spent keeping them in pristine condition. Top 10 results came, although Tom Ferrier later replaced Howell for the closing races of the season. In the Carrera Cup GB, Steven Kane led the team and came very close to clinching the overall title after a superb season. Ultimately, after a disastrous weekend at Knockhill, he finished third while Sam Hancock joined the team for his debut Carrera Cup season and was a race winner before the end of the year. Andy Britnell battled hard for the pro-am title and ended the year runner-up to Nigel Rice. 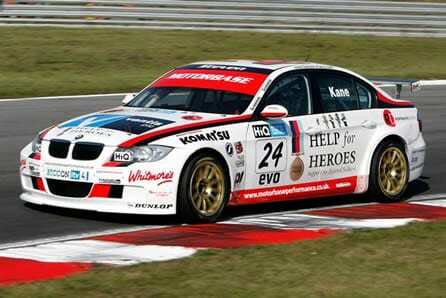 The 2008 season saw the team compete at the very top of British motor racing with a pair of BMW 320s for Steven Kane and Rob Collard in the HiQ MSA British Touring Car Championship. It was a tough start to the year as the team learned about the cars without the benefit of any real pre-season testing. But, hard work and determination delivered results and over the second half of the season the drivers scored 5 podiums between them. 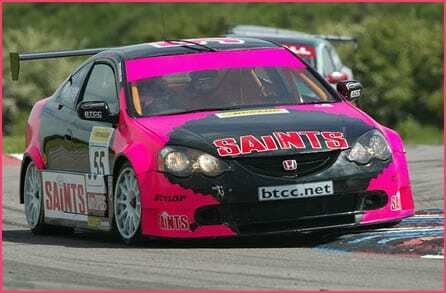 Kane scored the team’s first podium at Snetterton, while Collard took the first Independents win at Knockhill. The team’s inspiring performance at the final round of 2008, at their home track of Brands Hatch, also saw them out-score all other teams in the pit lane, the only Independent team to do so for that season. It was a hugely impressive performance and left the team ideally placed for another great season in 2009. 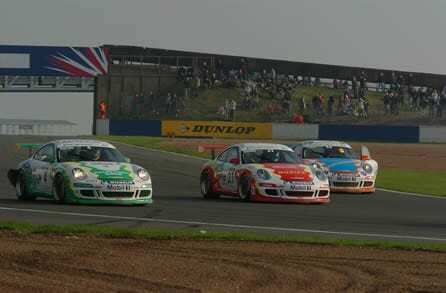 The 2009 season got off to a great start, with major backing from Wrigley’s Airwaves, Motorbase ran Rob Collard and Jonathan Adam in the BTCC, while Michael Caine and Ollie Jackson spearheaded the Porsche Carrera Cup team. 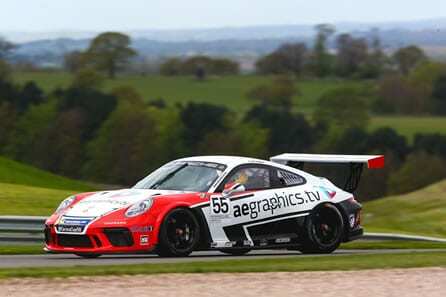 During the season, George Richardson, Liam Griffin and Steve Parish all sampled the Carrera Cup as they built up towards full programme 2010. 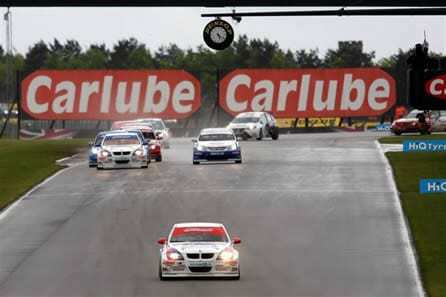 2009 proved to be the real turning point for Motorbase/Airwaves BMW in the BTCC, the Airwaves cars were at the heart of the action throughout the season, with Collard taking sixth overall in the Championship after the team claimed its first two BTCC wins. 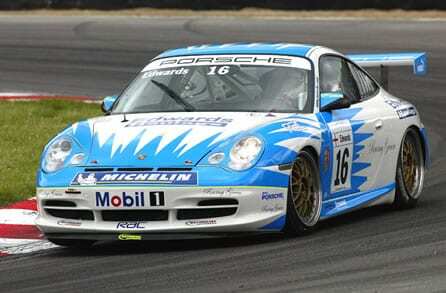 In the Carrera Cup, Caine was always a front-runner and finally finished fourth in the Championship with three wins. Jackson had a great debut season, finishing third in pro-am1 as the only driver to score points in all twenty races. The lead up to the 2010 season was a fraught time for Motorbase, one on hand the Porsche team went from strength to strength with the team securing a Championship first by running an unparalleled six cars that saw Caine, Jackson, Richardson, and Parish all return to drive for the team with the additions of VW cup driver Liam Griffin and Charlie Bateman, who made a return to the Championship following a year out. 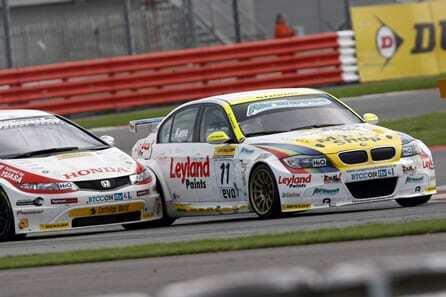 In stark comparison, the season preparations for the BTCC team were challenging to say the least. With limited funding and the last minute shock departure of Rob Collard to another team, the Airwaves BMW team looked as if they would have to sit the season out. Never ones to walk away from a challenge; David Bartrum and his team pulled together the comeback of the year with a little over two weeks until the official media day. Managing not only to secure increased sponsorship funding but also one of the most highly anticipated driver line ups of the Championship with Mat Jackson and Steven Kane put in place for the season. The hard work and tenacity of the team could not have received a higher reward after the Championship first rounds held at Thruxton. The restructured Airwaves BMW team stunned everyone with a remarkable one-two finish in the final race of the day, a first for the team. 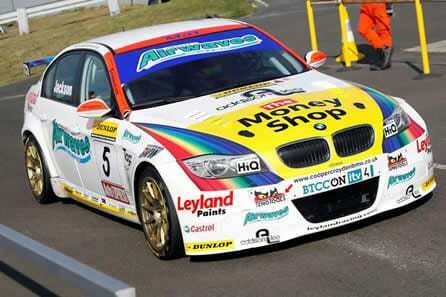 Airwaves BMW had made their mark and shown themselves as serious title contenders. They would continue to lead the Championship until the half way mark of the season, where after a number of difficult rounds, the lack of a pre-season testing programme and significant budgets of the manufacturer backed teams started to show through. Steven Kane and Mat Jackson took sixth and seventh places overall with an impressive 13 podiums and 2 wins between them, with the team slightly disappointed to finish a respectable forth overall and runners up in the Independent Team standings. 2010 ended on a high for the Porsche Carrera Cup team as Motorbase Performance triumphed at the Brands Hatch season finale, winning the Porsche Carrera Cup GB Teams Championship with a dramatic last minute effort. In addition, Ollie Jackson secured the Pro-Am1 title with George Richardson just edged out of claiming the Pro-Am 2 overall title. Although Michael Caine lost out on the driver’s title, there is no doubt that his seven race wins were all important as he held aloft the Teams Championship trophy. On reflection securing the Teams Championship, the Pro-Am1 top spot (Jackson) and second place finishes in both Pro-Am1 (Caine) and Pro-Am 2 (Richardson) categories, Motorbase performance celebrated in style and David Bartrum’s squad was incredibly proud of its achievements. 2011 was Motorbase’s most ambitious season to date with parallel campaigns in the Dunlop MSA British Touring Car Championship under the title sponsor team name of Airwaves Racing and the Porsche Carrera Cup GB as Motorbase Performance, which saw the team field an impressive fleet of eight cars all competing at the very forefront of British motor racing. In the Carrera Cup Motorbase team, the partnership of Caine & Harvey gave the team two very experienced drivers alongside George Richardson – stepping up to the Pro-Am 1 category and Steve Parish, who made a return to the Pro- Am 1 category joined by new Italian team-mate Daniele Perfetti. 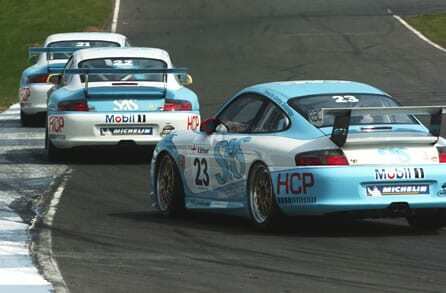 Harvey would later claim an outstanding victory for the team in the GB element of the Porsche Carrera World Cup race, racing against over 100 911 GT3 Cup cars from the worldwide Carrera Cup series racing on the daunting 14 mile world famous Nurburgring Nordschleife in Germany. Later on in the season Caine also moved from the Motorbase Porsche Carrera Cup squad – but rather than stepping away, it was a move that would see him achieve a life-long ambition of joining the ranks of the BTCC. Keen to fill Caine’s recently vacated seat, Team Principal David Bartrum pulled off an ambitious move by drafting in Nick Tandy -one of the most successful drivers in the Porsche Mobil1 Supercup and soon to be crowned 2011 Carrera Cup Germany Champion for the final two rounds. In return Tandy produced a stunning debut performance; setting a blistering pace of over half a second ahead of the field and rewarded the team’s hard work by racing to victory in three of the four remaining races of the season. 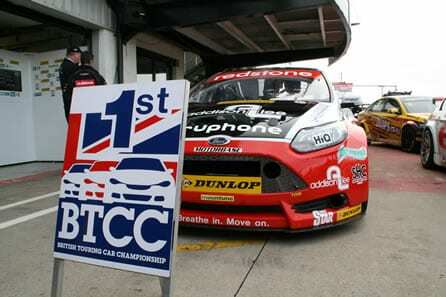 2011 also saw a major shift in direction for the BTCC squad – with the team opting to switch from the BMW’s it had run for the past three years to field Ford Focuses powered by Mountune built NGTC (Next Generation Touring Car) specification engines. 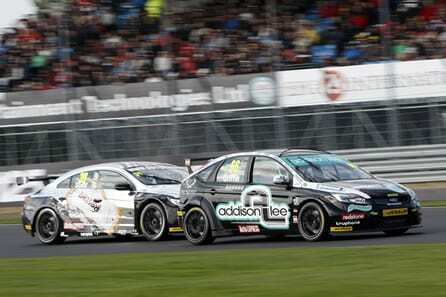 The decision to move away from the BMW badge was not taken lightly but the chance to race the Focuses used by the Arena squad in the 2010 BTCC proved irresistible. 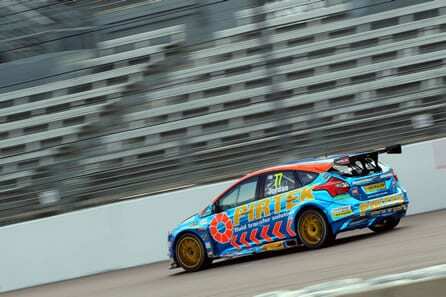 The move also saw the team name change to Airwaves Racing, a nod back to David Bartrum’s Ford Racing links. Mat Jackson made a return to Motorbase squad to take up the seat as lead driver for the team, joined by Liam Griffin who stepped up to make his British Touring Car Championship debut from the Porsche Carrera Cup. The Motorbase BTCC squad would be further bolstered by the appearance of the highly anticipated third Ford Focus ST for the final three rounds of the season. 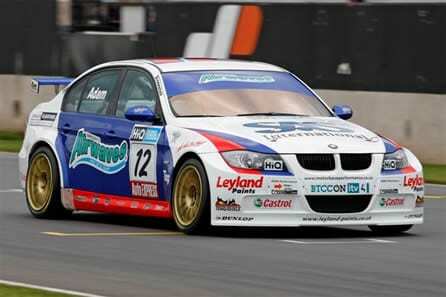 Initially piloted by Motorbase stalwart Michael Caine at Rockingham and Brands Hatch – where he showed impressive pace and race craft – the number 6 seat was later filled by non-other than twice crowned BTCC Champion James Thompson for the season finale at Silverstone. The season got off to a promising start for Jackson and the Motorbase team as he secured two podium finishes in the opening weekend at Brands Hatch. Jackson’s blistering pace and winning form would continue throughout the first half of the season seeing the team leading the overall Championship and prove themselves to the be the only Independent team able to consistently challenge the manufacturer backed Honda and Chevrolet teams. 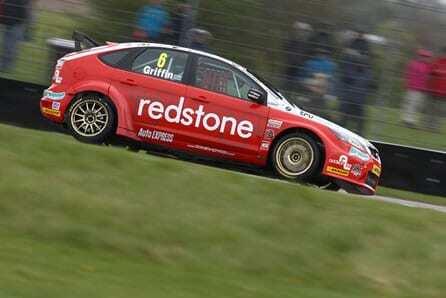 In contrast team-mate Griffin initially struggled to find his feet in the highly competitive and experienced BTCC field and suffered a series of set-backs and high profile racing incidents during the opening rounds of his debut season. However, his hard work and determination paid off and the BTCC rookie managed to turn his season around to produce consistent finishes; racing competently within the mid-field by the closing rounds of the season. 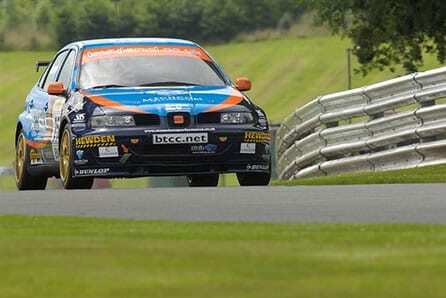 A trip across the border to Knockhill would prove to be the turning point for 2011 season. Leaving Kent as Championship leaders, the team suffered a horrendous weekend of back luck that saw them come away with just a single point and drop behind in the Championship standings. This would set the tone for much of the remainder of the season, where despite the team’s best efforts and some outstanding performances which saw them claim four wins and six podiums, they endured a near continuous spate of bad luck for the remaining rounds, finally managing to salvage a commendable fourth place finish in the overall BTCC driver standings. 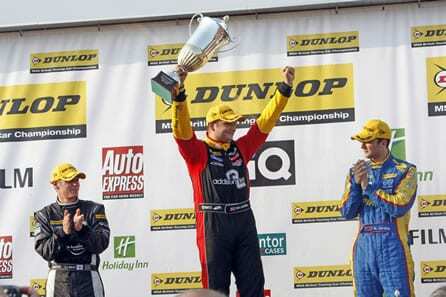 Off the track, the Motorbase squad’s famed team spirit and family atmosphere was rewarded by the loyal fans of the BTCC who voted them ‘Best Independent Team’ for the 2011 season, a small consolation to the team and a title that they are very proud to hold. 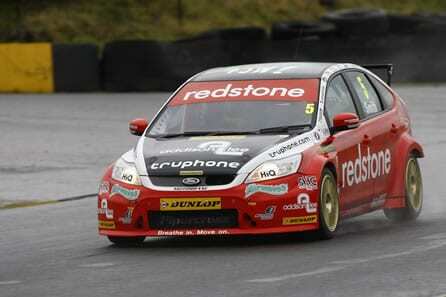 With a renewed emphasis on the BTCC competing under the new title sponsor name of Redstone Racing, 2012 saw the Kent-based squad enter its most ambitious campaign to date, fielding three cars for the full season. Welcoming back one of the BTCC’s most successful and popular drivers; Mat Jackson was back behind the wheel in the #4 Focus for his third season with the team with Liam Griffin also returning for his second season in the BTCC. Joining the pair on track was new addition and Motorsport Ireland Dunlop Young Racing Driver of the Year, Aron Smith who completed the Motorbase BTCC 2012 driver line up in car #5. The season got off to a promising start with Jackson securing two race wins and a number of podium visits during the opening few rounds. However, it soon become clear that the change of regulations aimed towards the newer NGTC models on the grid were hindering Motorbase in its quest for the BTCC title. A major accident involving Griffin at Croft as the BTCC entered its mid-season break proved to be the catalyst for the move into a new arena for David Bartrum’s team. With the extended six week break ahead of the next round, the Motorbase boss made the bold move to push the planned development and build of its all new Next Generation Touring Car (NGTC) Ford Focus ST forward and the new machine was launched under a veil of secrecy shortly before qualifying at Norfolk’s Snetterton circuit for round 6. Despite having never turned a wheel, the new in-house built Mountune-powered Focus ST took straight to the track and showed impressive pace from the outset with Jackson securing three top eight finishes during the weekend’s racing action. 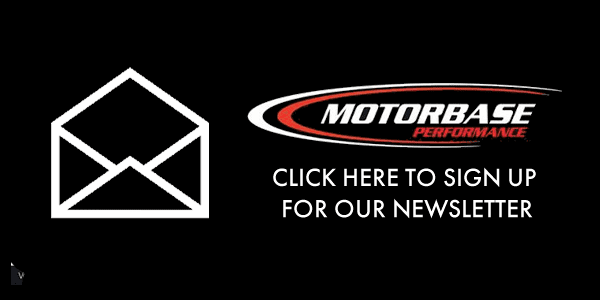 The latter half of the season continued on an upward curve for Motorbase as the new NGTC continued to shine, far exceeding everyone’s expectations. On what should technically have been a testing programme with Jackson behind the wheel, the Motorbase squad’s talent and hard work was rewarded with a remarkable set of results including its maiden win at Silverstone during the penultimate round of the season. Smith also earned his rightful place on the BTCC grid with the young Irishman making huge steps forward during the second half of his debut season for which he was justly rewarded with his maiden BTCC win and a celebratory trip to the top of the podium during a dramatic Brands Hatch season finale. Liam Griffin also returned to the grid for the final two rounds of the 2012 season in his team-mate Mat Jackson’s former S2000 Focus, adding his support to the Kent-based squad’s efforts. David Bartrum’s decision to return to the British GT Championship in 2012 would prove a prudent move for team, as the Motorbase pairing of Michael Caine and Daniele Perfetti in the Porsche 997 GT3 produced some stunning race results lined up against strong competition (including ex-Motorbase drivers Tim Harvey and Jonny Adam) on the GT grid. The title showdown came down to the last start/finish line of the season with five cars competing for the overall title heading into the finale at Donington Park. A dramatic end to the season saw the Motorbase team finish the final two hour endurance race in fourth place, clinching the British GT Title in only its first season back competing in the Championship. 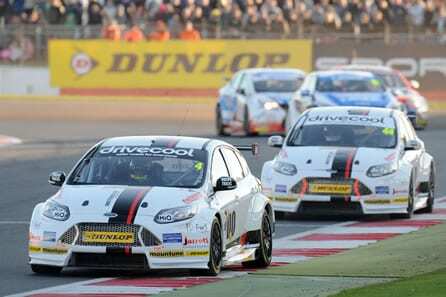 2013 promised to be a big year for Motorbase Performance. With amplified backing from Wrigley’s Airwaves and running under the new ‘Airwaves Racing’ banner, Mat Jackson and Aron Smith returned to the squad line-up piloting a brace of NGTC Ford Focus STs. With the majority of the BTCC grid moving to the NGTC for the 2013 season, Addison Lee man Liam Griffin also returned in his stunning Petronas branded S2000 Focus competing in the newly formed Jack Sears Trophy. Unfortunately a challenging start to the season put the Airwaves Racing team on the back foot and the first half of 2013 failed to deliver any outright success. Away from the circuit, the team was as busy as ever with a nationwide ‘Full Throttle’ competition and TV ad campaign in partnership with Wrigley’s. 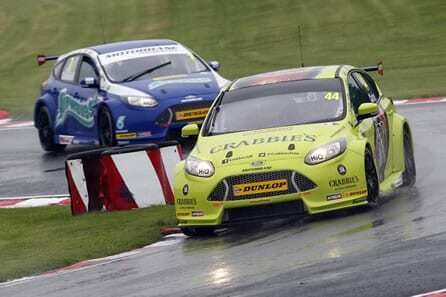 A new media partnership was also formed with the UK’s leading tuning magazine – Fast Ford. A change of luck the mid-way point of the season saw the Airwaves Racing squad revitalised and the team once again showed its commitment to the BTCC by fielding a third NGTC Focus at Croft with Motorbase stalwart Michael Caine making a one-off appearance at the North East track. Kent youngster Jake Hill also got the opportunity of a lifetime with a dream BTCC debut in the Addison Lee S2000 Focus, standing in for Griffin during round 7. Snetterton finally delivered the deserved results for Motorbase, with both Jackson and Smith taking three podiums at the Norfolk circuit. 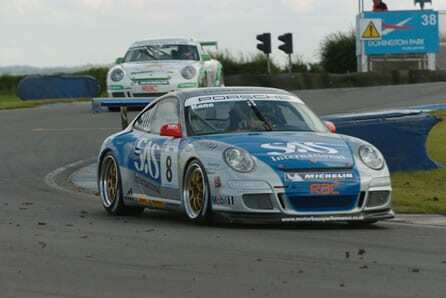 Griffin also returned but a torrid weekend put pay to his chances of claiming Jack Sears Trophy honours for the season. With the end of the season fast approaching, David Bartrum drafted in experienced BTCC star Tom Onslow-Cole to bolster the Airwaves Racing line-up in the 3rd NGTC. Unfortunately with late entry ballast preventing the Rockstar-backed driver from showing his full potential, Onslow-Cole endured a tough final three rounds to the 2013 season. During the final round at the squad’s home circuit of Brands Hatch, Smith had a huge ‘off’ during the morning’s free practice season – leaving the Motorbase crew with the massive job of rebuilding the Focus overnight. A truly remarkable job from the team saw the car line up on the gird for Sunday’s opening race before going on to claim three top 10 finishes from last on the grid. Alongside the Touring Cars, Michael Caine was once more welcomed back behind the wheel of the #1 Porsche 911 GT3R to defend his British GT Championship title; partnered by Porsche Carrera Cup GB Champion Ahmad Al Harthy under the new team name Oman Air Motorbase for the 2013 season. This exciting driver pairing had unfortunate repercussions for the Oman Air Motorbase Team. A hefty 75kg weight penalty had a massive impact on the pace of the 911 and the pair drove brilliantly taking two race wins and scoring points in all but one of the 10 races before heading to the season finale as outside contenders. Disappointingly, contact in the final race of the season knocked the #1 911 out of the race lead and the team had to settle for 5th in the overall championship. A shift in focus for 2014 saw David Bartrum trade in his trusty stead ‘Fat Max’ for a pair of Aston Martin V12 Vantage GT3s as the squad expanded its GT programme into Europe with parallel programmes in the Blancpain Endurance Series and British GT Championship. The partnership of Al Harthy and Caine returned for a second British GT campaign with former BTCC and Porsche Carrera Cup racer Stephen Jelley joining them for the squad’s maiden Blancpain run. 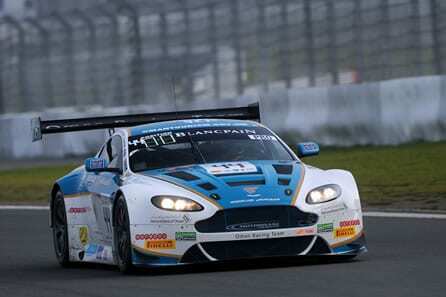 Meanwhile young Scotsman Rory Butcher joined forces with veteran sports car racer John Hartshorne in the second Vantage GT3. Hartshorne’s place in the squad was short-lived however, with former BTCC racer Liam Griffin joining Butcher in the Vantage at Rockingham for the remainder of the season. The move to the Aston Martin marque paid dividends for Motorbase in the British GT, with Bartrum’s squad reclaiming the overall Teams Championship title during a thrilling Donington Park finale. A historic result for the team as the first ever Omani-licenced entry and Championship win for the Oman Nation. An incredible final performance from Al Harthy and Caine saw the duo end the season as Vice Champions – narrowly missing out on the overall drivers’ honours. Motorbase’s maiden Blancpain season was a baptism of fire! Competing against the world’s best factory-backed GT3 teams and racers – the Wrotham-based squad battled hard to take a season best 10th place finish at on its only UK visit of the season at Silverstone. The opening season was unfortunately marred by a serious of on track incidents and mechanical issues on the new Aston, but a top 7 qualifying position during the final round of the season at the Nurburgring showed the squad’s potential. In the BTCC, David Bartrum pulled off the coup of the year in signing two-times champion Fabrizio Giovanardi as the lead driver for Airwaves Racing in 2014. Another new face in former F2 racer Jack Clarke also looked set to deliver some great results with Clarke piloting the striking lime green livery of Crabbie’s Ginger Beer running under the Crabbie’s Racing title. Mat Jackson’s return to the squad for his fifth season was remarkably only announced at the official championship media day – after a last minute deal was penned that morning. With BTCC legend Giovanardi and star Jackson spearheading the squad’s assault on the 2014 Championship, all eyes were on Motorbase as serious title contenders. Frustratingly, it quickly became apparent that Giovanardi’s four year absence from the Championship had left too big a gap for the Italian to make up and he failed to deliver the expected results. Conversely Jackson enjoyed another superb season, finishing 4th in the overall Championship standings and runner up in the Independents. 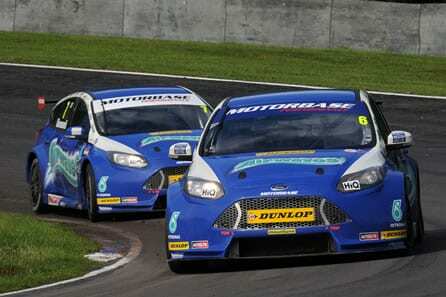 The season also marked Motorbase’s most successful season to date, taking 4th place in the Overall Teams’ Championship whilst incredibly maintaining a 100% finishing record for the #6 Focus ST – the only car to have completed every lap of the racing season. 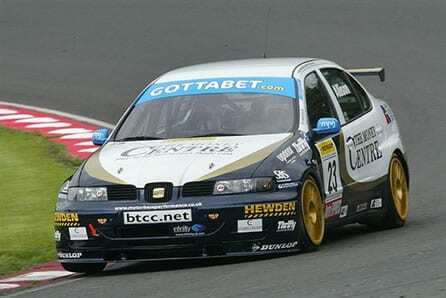 Jack Clarke’s rookie BTCC season built solidly. 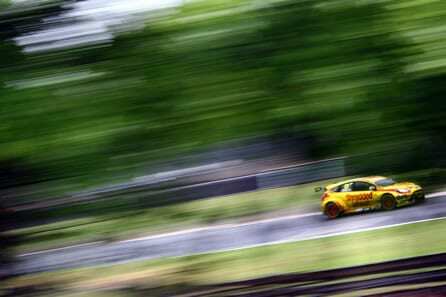 From a slow start, the Crabbie’s-backed racer showed true class during the season and was rewarded with his maiden podium and Independent race win following a stunning drive in the season finale at Brands Hatch. 2014 also marked the end of an era for Motorbase Performance, with Wrigley’s Airwaves taking the decision to move away from motorsport and the Motorbase squad after six years of success. 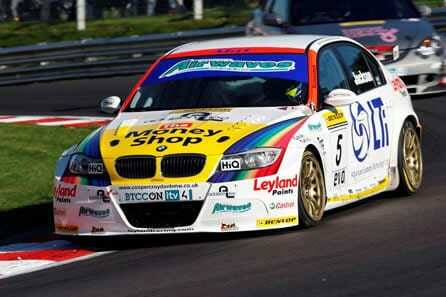 One of the most successful partnerships in the BTCC, the farewell was suitably commemorated at the squad’s home circuit, Brands Hatch – the circuit where the Airwaves brand had made its debut six years earlier. The lead up to the 2015 season would prove to be the most challenging yet for Bartrum. With the loss of Wrigley’s Airwaves, a new title sponsor was in place for the Kent squad before a last minute change of direction saw them pull out just weeks ahead of the start of the season. With new signing James Cole already announced and confirmed alongside the returning Mat Jackson and the squad mid-way through a joint Ford EcoBoost development programme with engine builders, mountune, Team owner David Bartrum had to make the momentous and difficult decision to take a half year sabbatical from the BTCC. With support and agreement from TOCA and the team’s technical partners, Motorbase pushed on with the EcoBoost project before making it highly anticipated return to the grid at Snetterton for the second half of the season. The teams’ return was watched with interest and it soon became apparent that the new EcoBoost engine and chassis improvements had brought a new lease of life to the Focus ST. After a promising start at Snetterton and Knockhill, Mat Jackson was the man of the moment – taking a maiden BTCC qualifying pole for Motorbase at Rockingham – before making it 3 in a row with a repeat performance at Silverstone and Brands Hatch. In an incredible final three race meetings Jackson and Motorbase took an unrivalled 4 outright race wins and 4 podium finishes – smashing lap records along the way. Cole also enjoyed his most successful BTCC results in three years – taking a career best 9th place finish at Silverstone, a day best remembered for Motorbase claiming pole position in all three BTCC races. A new driver line-up beckoned for the GT squad with 23-year-old Daniel Lloyd partnering Ahmad Al Harthy in the British GT Championship. 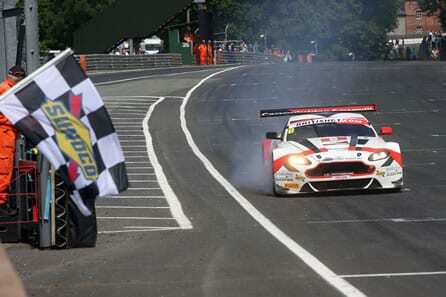 Also returning for a full season effort was the duo of Rory Butcher and Liam Griffin in the second Aston Martin. A familiar face also made a one-off appearance in the British GT opening round with Mat Jackson pairing up with Phil Dryburgh for the opening two races. A great start to the season with an opening race win for Butcher and Griffin set the scene for the season and the pair enjoyed a fantastic year in the #8 Aston; surprising many by taking two race wins, they ended the season in fourth place overall. A change in driver classification had a massive impact on Al Harthy and Lloyd with the pair slotted into the new GT3 Silver Cup Class. With new BOP regulations also coming into play, the duos’ season was placed on the back foot immediately. Despite the challenges facing them, Al Harthy and Lloyd enjoyed success with a well-earned podium finish at Rockingham on their way to claiming the Silver Cup title at the end of the season. 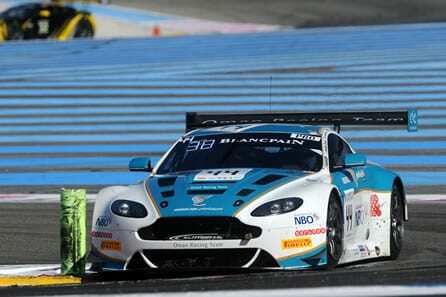 With a new look Blancpain Endurance Series line-up confirmed in Ahmad Al Harthy, Daniel Lloyd and Aston Martin works driver and former Motorbase BTCC driver Jonny Adam, David Bartrum’s squad was all set for its second European campaign. With a year of experience and knowledge of the Aston Martin V12 Vantage GT3 the squad came remarkably close to a podium finish at the blue-riband Total 24 hours of Spa. Pitted against the world’s leading GT3 teams in the Pro Class, the Wrotham-based team struggled against the might of the factory and manufacturer teams in the first half of the season, before a move to Pro-Am class was rewarded with a fantastic top ten finish for Ahmad Al Harthy, Rory Butcher and Stefan Mücke during the last race of the season on the world-famous Nurburgring. 2015 ended on a high note for Motorbase with the GT squad taking an impressive pole position and podium on its maiden appearance in the Gulf 12 hours race on the stunning Yas Marina Grand Prix circuit in December. The only Aston Martin on the grid, the Motorbase car piloted by Al Harthy and Aston Martin works drivers Jonny Adam and Darren Turner raced phenomenally well against top International talent to take third place overall. Breaking news from the Motorbase camp not long after the flag dropped on the final BTCC round of 2015 ignited a huge amount of speculation when 2013 BTCC Champion and Red Bull athlete announced he would be joining the Kent-based squad line-up for the 2016 season. 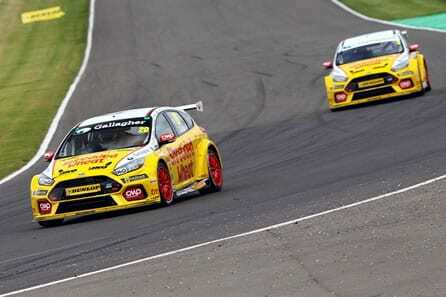 Alongside Motorbase stalwart Mat Jackson in the Ford Focus ST – the duo made a formidable partnership. A reshuffle in the GT squad saw the return of Al Harthy. The Oman racer was this time joined by Motorbase favourite and Aston Martin works driver Jonny Adam and newcomer Devon Modell – all focussed on refining on the previous season’s performances in Europe competing in the Blancpain Endurance Cup. Motorbase also returned to the British GT grid with sportscar veteran Phil Dryburgh behind the wheel of the #8 Vantage GT3, partnered by young Scot, Ross Wylie. The European campaign started well for the Blancpain squad with Modell, Adam and Al Harthy gelling in the Pro-Am class category. A top-four place finish during the opening round at Monza got the championship challenge off to an excellent start and was immediately followed up with a maiden Blancpain podium on home-soil at Silverstone. Just missing out on a second podium at Paul Ricard, the squad went into the blue riband 24 hours of Spa event in strong form. Unfortunately after leading the Pro-Am Class and overall race briefly, contact in the early hours saw the #44 Aston drop down the order and derailed the hopes of another podium finish. Despite the final two rounds of the campaign failing to produce the deserved results, David Bartrum’s outfit fought back from adversity in the season finale to take fourth in the Pro-Am Championship standings – missing out on the third spot by just a single point. 2016 would be a season best forgotten for Motorbase in the British GT. A huge accident during the opening round at Brands Hatch totalled the squad’s #8 Vantage and despite an epic rebuild by the Motorbase crew to get back on track for the following round – the season failed to deliver any real high points for the team. Dryburgh and Wylie secured points in five of the nine rounds but disappointingly a lack of consistency and pace failed to secure the results requited to mount a successful challenge. In Touring Cars, 2016 would prove to be the best year to date for Motorbase Performance. Back for this seventh consecutive season with the team, Mat Jackson was almost untouchable. 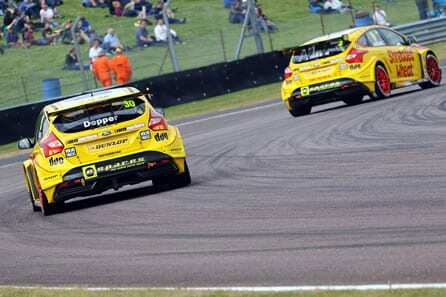 Taking a joint-top number of race wins (5 outright) for the season, Jackson also led the most laps out of the 32-strong-grid in his #7 Focus ST. Jordan proved to be a welcome addition to the team and settled in well, taking his first win in over two years at Thruxton. With both drivers consistently on form Motorbase took an early lead in the Independent Teams Championship and already had an unassailable lead by the time the BTCC grid left Rockingham. Heading into the season finale at the squad’s local Brands Hatch circuit, both Jackson and Jordan were still in contention for the overall drivers’ title. An action-packed race day delivered high drama for both with a heavy shunt ruling Jordan out of the title race whilst Jackson claimed his fifth outright win of the season – propelling him into 3rd overall – the highest placed Independent Driver and just 16 points off Championship winner, Gordon Shedden. Celebrating a sensational double Independent Title win – taking both the Indy Teams’ and Drivers’ crowns in front of an elated home crowd marked a very special moment in Motorbase’s 10th Anniversary of competing in the BTCC. The weekend topped off Motorbase’s most successful BTCC campaign to date after an incredible year that saw Jackson and Jordan jointly amass an impressive tally of 7 outright race wins, 7 outright podiums, 15 Independent race wins and 21 Independent podiums in the mountune-powered Ford Focus STs. Following Jordan’s departure at the end of 2016, Motorbase Performance boss David Bartrum decided the time had come to focus all efforts on the Dunlop MSA British Touring Car Championship. Soon after, the well-known consumer brand Shredded Wheat was confirmed as title sponsor for a multiple-year campaign and the Kent-based squad unveiled a three-car assault with Mat Jackson at the helm, joined by BTCC regular Martin Depper and rookie Luke Davenport. With a renewed energy, the squad set off the season all guns blazing but sadly the results failed to materialise with the three Team Shredded Wheat Racing with duo Ford Focus STs struggling against the competition. After a promising weekend at Oulton Park with newcomer Davenport claiming Jack Sears Trophy honours as the top scoring rookie of the weekend, disaster struck at the next meeting in North Yorkshire. During a wet qualifying session at Croft circuit, 24-year-old Davenport was involved in a season-ending accident and suffered life threatening injuries. 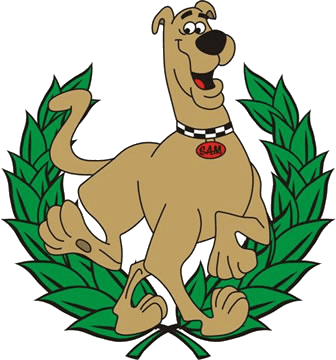 Thankfully, following tremendous care from the TOCA safety team and staff at the James Cook hospital in Middlesbrough, he made a full recovery but a return to racing was off the cards. Former Motorbase GT racer Rory Butcher was drafted into replace the stricken driver for the final 4 meetings of the season, with the scot making his BTCC debut at his local circuit, Knockhill and his rousing performance was rewarded with two top ten finishes and the Jack Sears Trophy honours. The second half of the season proved more fruitful for the Motorbase team, with Jackson taking 7 Independent race wins across the ten race meetings. 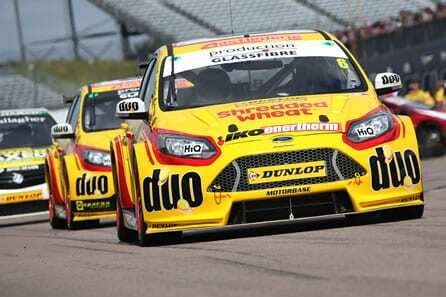 After a challenging year, Team Shredded Wheat Racing with DUO eventually ended the 2017 BTCC season in 6th place overall in the Teams Championship and 3rd in the Independent Teams’ standings. Winter brought with it big changes for David Bartrum’s team. 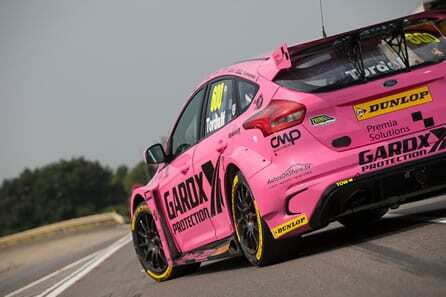 A huge coup saw Motorbase secure two well-known, front-running drivers for its 2018 BTCC line-up in the shape of Touring Car star Tom Chilton (straight off his hugely successful WTCC campaign) who was paired alongside Mat Jackson in the Team Shredded Wheat Racing with Gallagher Fords. 2016 BTCC runner-up Sam Tordoff was also added to the squad, making his highly-anticipated return to the series after a years’ sabbatical. The new season also signalled the unveiling of the new Ford Focus RS machine, with the Motorbase outfit bringing the iconic RS badge back to the championship after a 25 year absence. 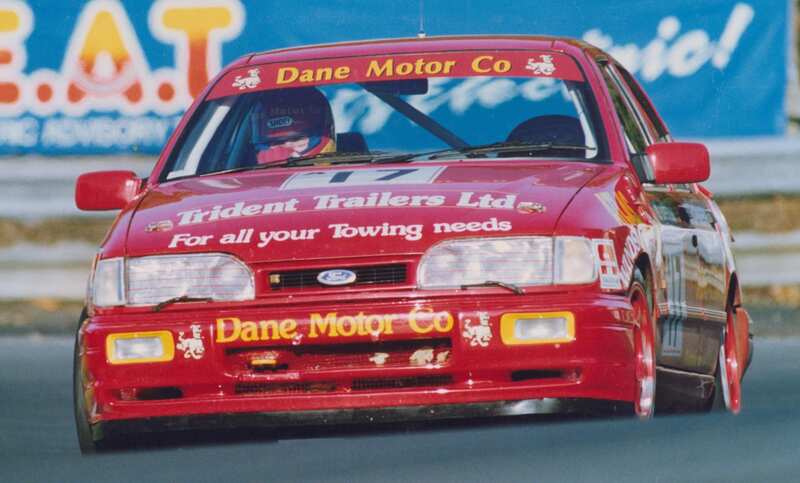 The Sierra Cosworth RS500 dominated the Championship during the late eighties, securing the former Class A title for Robb Gravett back in 1990. A shock, last minute departure for Jackson just weeks before the start of the season opened the way for BTCC race winner James Cole to return to the Motorbase fold, with the trio set up as one of the strongest squad’s on the grid. Lining up against one of the most competitive grids ever seen in the BTCC, the season delivered mixed blessings for the team. Tordoff’s unquestionable pace was rarely rewarded with the deserved results, with a series of unfortunate incidents marring the Yorkshireman’s successes. Although, a challenging season overall, the JCT-backed driver remained unmatched in qualifying – ending the season as the highest-placed qualifier over the year – with an average starting position of 6th. Also securing the Ford Focus RS maiden pole position at Rockingham (poignantly, the BTCC’s last-ever visit to the circuit) and leading a spectacular Motorbase 1-2 at the following round on the Silverstone National circuit. 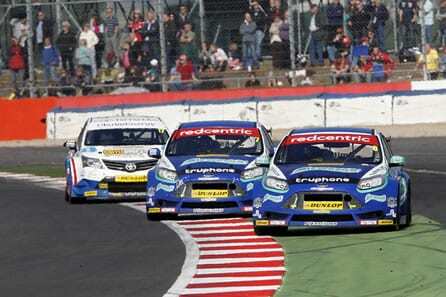 Chilton’s debut Motorbase season was a huge success. Settling well into the team and the Focus RS, the 13 times-race winner added yet another win to his tally, collecting a maiden victory for the Ford Focus RS at Knockhill along with 5 podiums, eventually ending the season 3rd in the Overall Championship standings, and as Runner-up in the Independent Standings. Numerous top ten finishes for Cole delivered a steady stream of points and the Team Shredded Wheat Racing with Gallagher squad finished a credible 4th overall in the Teams Standings – as the highest-placed Independent Team – also claiming 2nd in the Independent Teams’ championship with the newly-developed Ford Focus RS marking a solid debut season with 2 Independent race wins and 11 podiums. 2018 also marked a return to the Porsche Carrera Cup GB grid for Motorbase, following a six year absence. 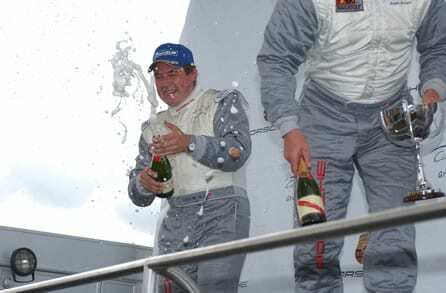 After initially joining the championship in 2004, David Bartrum’s team competed at the very top of the German marque series for seven seasons, securing the Teams’ Championship title with a four-car strong squad in 2010 and amassing an impressive 26 race wins. Starting the season as a single-car entry with 22-year-old rookie, Dan Vaughan, the team made an early impact, with Vaughan taking three Pro-Am wins and 5 podiums to end his impressive debut season as the Pro-Am runner-up – just 7 points adrift of the title. A one-off appearance from Frenchman Valentine Hass-Clot at Silverstone at Snetterton, set the championship alight with a blistering performance that saw him charge from 7th to 2nd on the opening lap, with Motorbase collecting the ‘team of the weekend’ award from Porsche. With the Carrera Cup GB celebrating its 300th race during the season finale weekend at Brands Hatch, David Bartrum commissioned a one-off special livery Porsche 911 Cup Car for the final rounds, drafting in Motorbase and Carrera Cup stalwart Michael Caine to run under the #300. The one-off livery attracted huge attention by both press and fans alike, with the car roof featuring all previous Carrera Cup GB race winners.